You are here: Home / Destinations / Asia / CroisiEurope: What Are Its Smallest, Largest and Most Common Stateroom Sizes? CroisiEurope has 31 ships in its river cruise fleet with the MS Elbe Princesse as the newest edition. 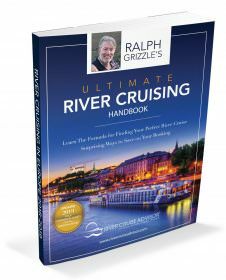 The company’s portfolio includes travel on several rivers in Europe and on a few in Southeast Asia. All ships in Europe are company-owned, while the vessels in Asia are not. 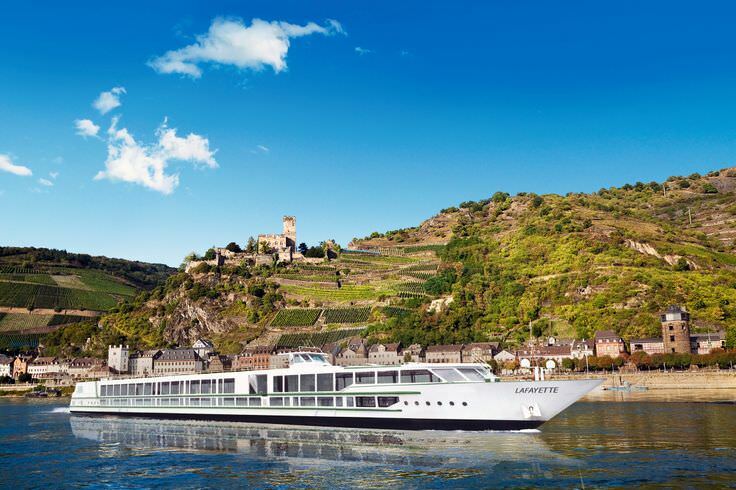 CroisiEurope features river cruises in Europe on the Rhine, Dutch & Belgian Waterways, Moselle, Saar, Neckar, Main, Danube, Tisza, Seine, Rhône & Saône, Garonne & Dordogne, Douro, Guadalquivir & Guadiana. 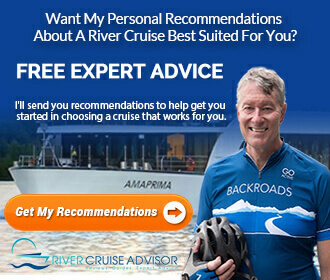 The company also offers barge and coastal cruises in Europe; but for the sake of this article, we’ll only look at traditional river cruise ships for comparisons. There is a lot of variation among CroisiEurope’s ships with regard to stateroom size, which ranges from 75 square feet to about 180 square feet. Cabin size is relatively the same on each ship, particularly for those that do not have suites, even though it varies from ship to ship. In other words, all staterooms on the MS L’Europe are 140 square feet; and they are all 118 square feet on the MS Mistral. Nearly 40% of the vessels feature single cabins. And about 20% offer accommodations for 3 to 4 people. However, the triple and quadruple cabins are designed for families. While the stateroom size is the same as it would be for a double cabin on the ship, the stateroom is equipped with 1 to 2 upper berths for children. Some vessels have suites, which are about 30% larger than the standard staterooms. However, most of the ships do not have suites. CroisiEurope offers itineraries in Southeast Asia on the Mekong River. but travel is aboard ships that are shared by other companies – the Toum Tiou II, RV Indochine and RV Indochine II. Stateroom comparisons for these vessels will be featured in another article that lists several other ships that are shared across the river cruise industry. While there is a lot of variation in stateroom size for the different ships, all cabins on a single ship are often the same size. For example, all staterooms on the MS Mona Lisa are 75 square feet. The ship does not have single cabins or suites. So, regardless of the stateroom you choose, your accommodations will be 75 square feet. By contrast, one of the ships with the largest staterooms is the MS Vivaldi. There are not single cabins or suites aboard. All staterooms are 140 square feet in size. For the vessels that do feature suites, you can expect a stateroom that is about 30% larger than the standard rooms. What does this mean in terms of size? Well, the MS Symphonie has cabins that are 129 square feet. So the suites are about 168 square feet. Although, there are staterooms on some of the ships that can accommodate up to 4 people, these staterooms are not any larger in terms of size. The only difference is that these cabins have one to two upper berths, which are designed for children. The table below provides a summary of all vessels currently in CroisiEurope’s fleet as well as the waterways on which they travel. Ships are listed alphabetically. A separate column has been designated for the smallest, largest and most common double occupancy stateroom size for each ship. Even though the information is exactly the same in each column for many of the vessels, a few notes have been added to help further clarify any differences. Note that CroisiEurope has remodelled several of its ships since this article was written. The MS Van Gogh was extensively remodelled in 2018, reducing the number of cabins from 78 to 54: 50 doubles, 3 singles, and one for mobility-impaired. This allowed much larger cabins — the doubles are approximately 165 square feet, vs. the pre-remodelling 118 square feet listed above. The MS Camargue was also recently remodelled and has similar cabin arrangements/sizes as the MS Van Gogh, except that the MS Camargue does still have two suites. Thanks Tom. We’re updated the Van Gogh article and will do Camargue next. Appreciate you brining it to our attention.